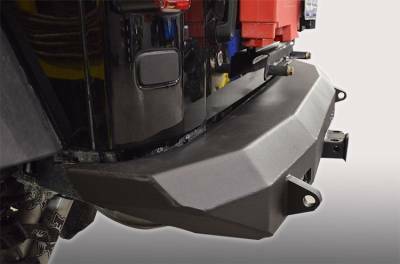 The ACE JK Fullback Rear Bumper borrows design cues from our popular Pro Series Bumper, but has a full flat top for an improved look on Jeeps without a spare tire. 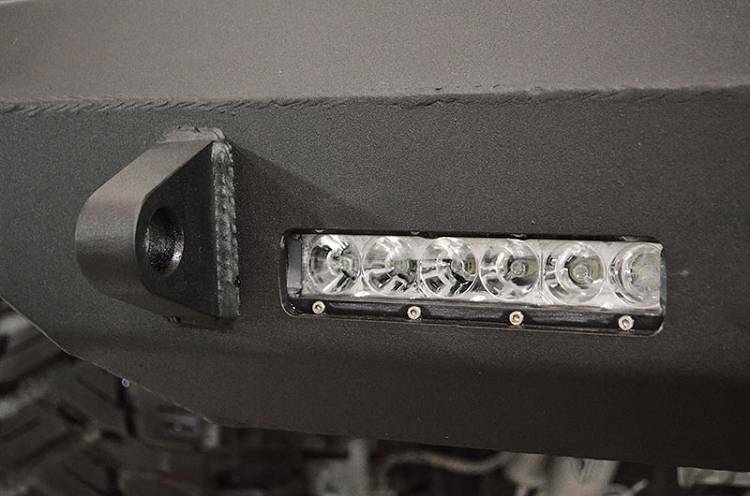 Plus, with our optional 6" LED light provisions, you'll have plenty of light no matter how dark the trail gets. The LED Light Bars are not included and must be purchased separately. 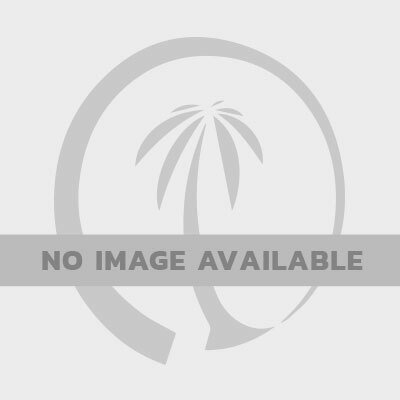 The Fullback is made of a thick steel plate and is contoured tightly for extreme departure angles. Plus it mounts inside the factory frame for maximum clearance, in fact it actually gains some clearance from the stock receiver. The ACE JK Fullback Rear Bumper is finished with black textured powder coat and comes with zinc coated mounting hardware and D-ring mounts built in. 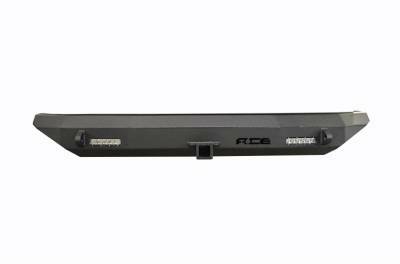 It comes with a built-in receiver, and with or without 6" LED light provisions. 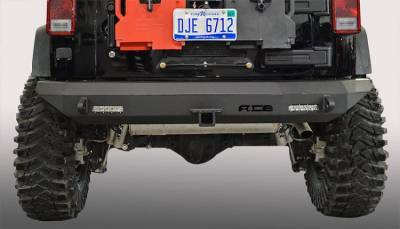 The receiver retains the factory tow ratings of 2,000 lbs. for a 2-door and 3,500 lbs. on a 4-door JK. 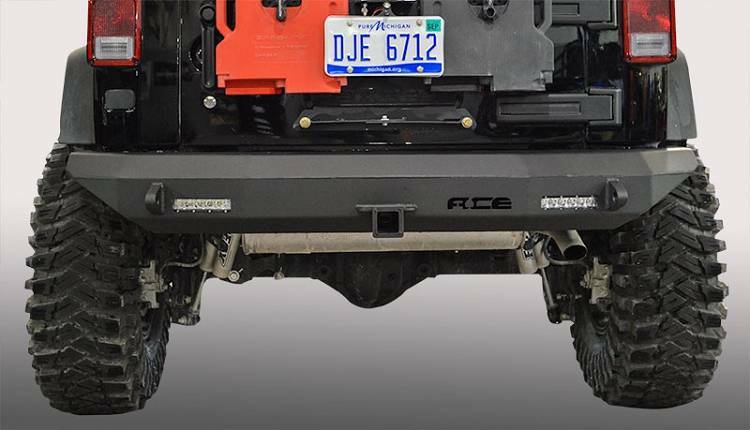 Remove your factory bumper and receiver, bolt on your new ACE JK Fullback Rear Bumper, and hit the trails with confidence knowing you're covered with our Lifetime Warranty.